Well, we didn't see that coming. GET IT? Much to the delight of Avengers 2-theorists everywhere (except the ones who thought it was going to be Agent Coulson, probably), Variety reported last night that Paul Bettany, the voice of Jarvis in the Iron Man franchise, has also been tapped to play The Vision. 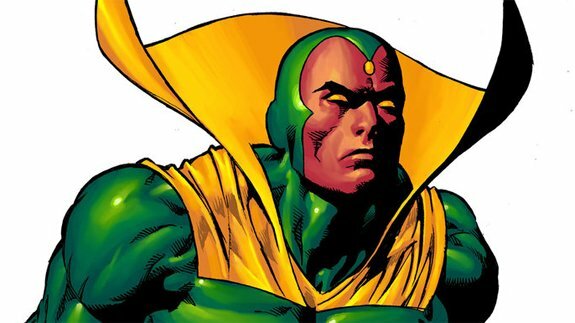 In most Marvel comic universes — and since I’m not our resident spoiler-hater, let me point out that here there be possible spoilers for — The Vision is an android lackey created by Ultron to help enact his revenge against the Avengers, who then turns against his robotic creator and joins the side of good. He’s also totally dating the Scarlet Witch, who’s definitely in the Avengers sequel as well and is being played by Elizabeth Olsen. While this doesn’t definitively mean that Jarvis and The Vision are somehow related to one another, it certainly does lend credibility to that theory. Jarvis is an artificial intelligence, The Vision is an artificial intelligence — it would stand to reason that the producers would seek to combine the two characters for time and added emotional drama (Jarvis punching Tony, noooo!) Of course, now that we do have a Hank Pym in Michael Douglas for Ant-Man, they could be setting him up as the original creator of Ultron in a more conventional comic-following storyline that doesn’t need Jarvis, and this all could be a happy coincidence, like how Peter Capaldi was in Doctor Who before he was cast as the Doctor.Though let’s be real, that’s not likely, especially with Joss Whedon at the helm. He sure does like the good-guy-turns-bad-and-betrays-friends-before-becoming-good-again kind of drama. Hey, speaking of which, maybe Vision-Jarvis will turn good again right after Iron Man has to impale him on a sword and send him to a hell dimension! And it’s all Captain America’s fault, because he’s totally jealous of their love! Production on Avengers: Age of Ultron starts next month. If they’re not going to go with my Buffy rip-off hell dimension idea, let’s hope they at least put Paul Bettany in a giant green-and-red spandex suit, because I would very much like to see that.